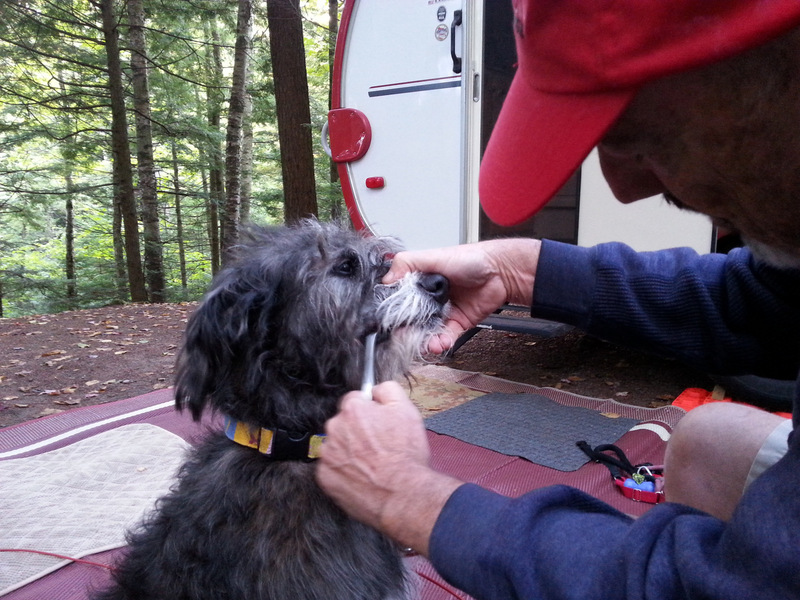 we all need a good tooth-brushing – chicken-flavored toothpaste! 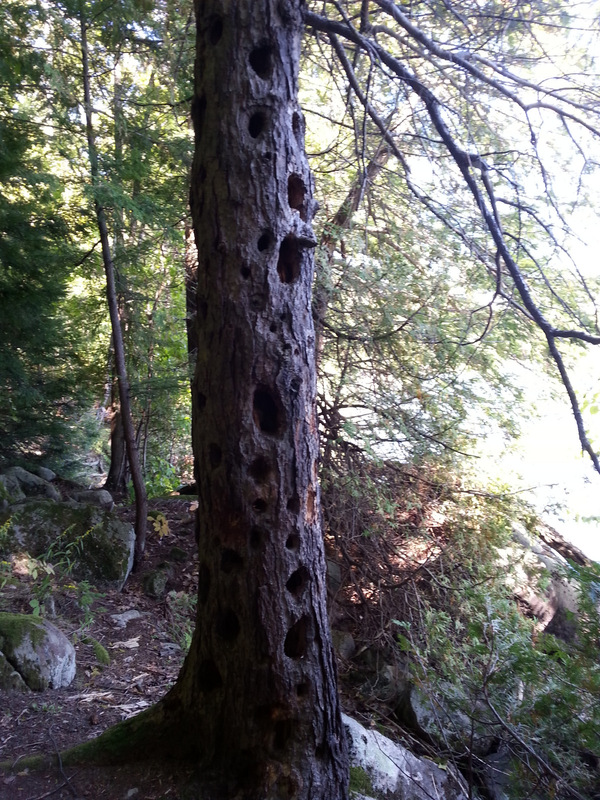 wish I knew what made these holes – pilateated woodpeckers? 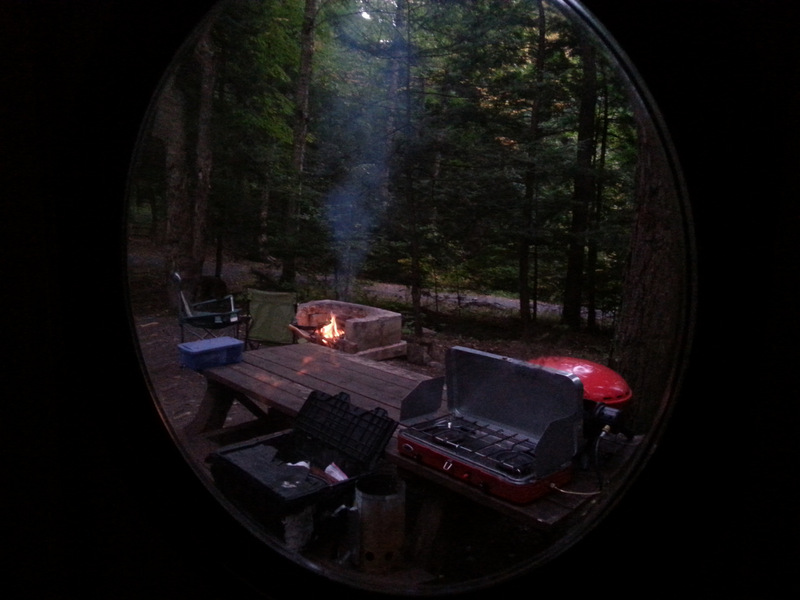 OK – tinycamper, help me out with these, please…. Loved our brief time in NY. On to Vermont. Scary to be moving to Boston Red Sox territory – we are rabid Detroit Tiger fans. GO TIGERS!!! Just saw this post. Sorry I didn’t answer sooner. I don’t know what the little mushroom with the darker edges are. 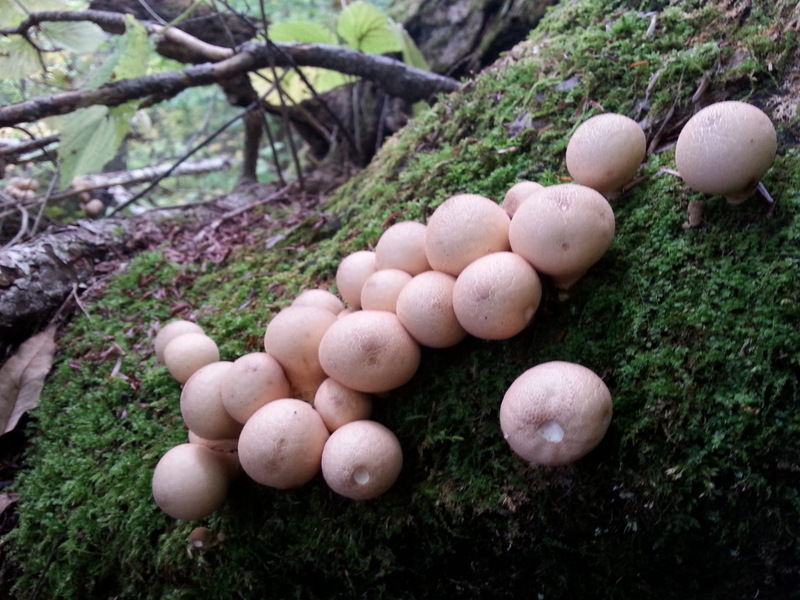 The others are puffballs… probably Calvatia cyathiformis. They are good edibles when they are completely white inside, but are very soft. They are best dipped in a batter and fried. 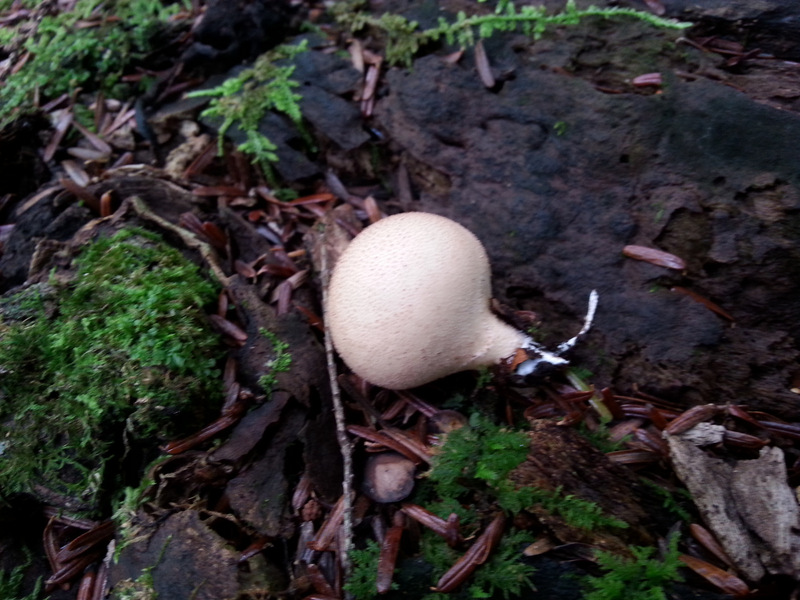 Most of the large puffballs are good edibles when they are entirely white inside. Thanks. I need to have a direct connection to you, so when I’m out wandering around in the woods I’ll know if I can gather and eat or not. Having an instant expert opinion would rock! Expert I’m not! Most I CAN’T identify. It’s just that the ones I do know, I am pretty confident with. Pileated woodpeckers do make the large rectangular holes in the trees, I suspect that they had some help from other species working over the tree you photographed. I can’t help you with the mushrooms, I have enough trouble with birds. “Trouble” with birds? Hardly. Hope you are enjoying New Hampshire. Your photos and blog are spectacular. You need some identifying books for the interest flora and fauna in the Northeast. Those white things looked like mushrooms, but I wouldn’t eat them without checking with an expert. I love the tree with all the holes. Maybe a squirrel. Can woodpeckers make holes that big? You’ve really piqued my curiosity. I have four of those tractor rims. Now I have an idea of what to do with them. Cool shots. You need a book of Robert Frost’s poems to go along with your adventures in the Northeast. 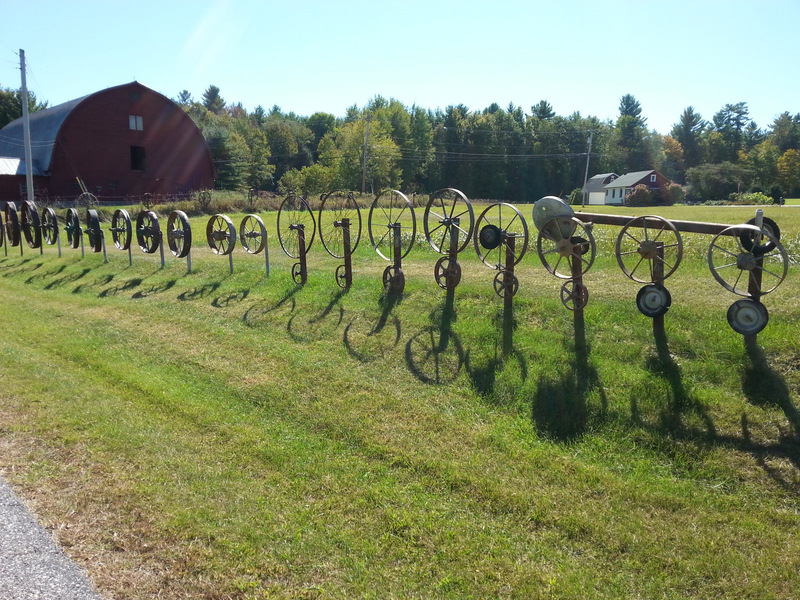 He had a hobby farm that inspired a great deal of his poetry. And a book that was just published a few years ago by Henry David Thoreau, “Wild Fruits”, identified all of the plants and animals that lived in and around Walden Pond, their habitat, life cycles, etc. would be a big help for you. It wasn’t published until just a few years ago because his penmanship was so bad that it took all those years to decipher what he had written. I love reading your blog and seeing your pictures. So much of my favorite American Literature was inspired by the areas you’re exploring. Thanks for sharing. Would never pick and eat anything we see. I do wonder, but am too lazy to actually study up on what’s out there. I’ve thought about getting a book or two, but we have such limited space in the Fireball. And, I hate to carry extra stuff with me while hiking, as well. 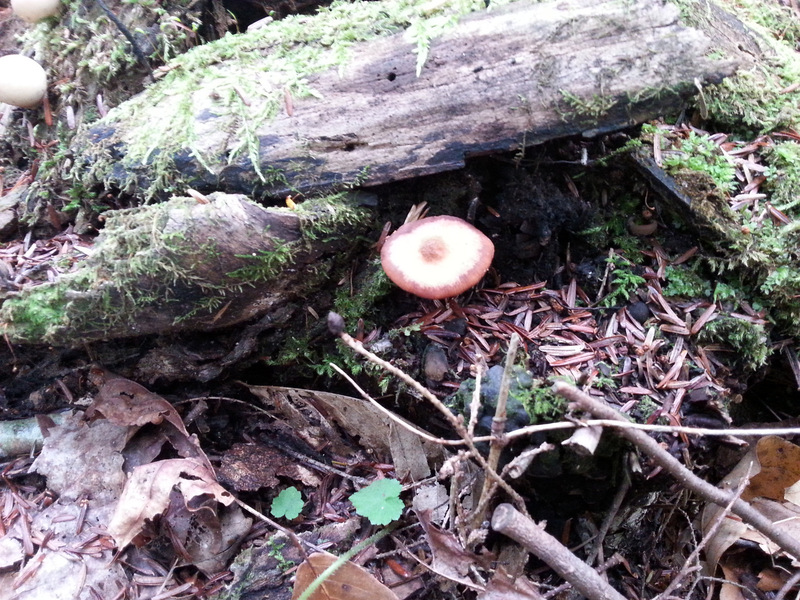 Hoping my blog pal Tinycamper can help id them – she’s a forager with amazing knowledge. Check out her blog for a real treat. Thanks for reading the blog, Alison. We love the feeling of keeping in touch, and the blog helps me keep a bit of a record for us going forward – it’s a lot easier than a journal!